This presentation was delivered in live webinar format in 2015. Gary’s and Curtis’ comments below have been edited for clarity and length. Our objective today is to explore the story and the background behind why the U.S. Treasury came out with these announcements last year about Qualified Longevity Annuity Contracts (QLACs), the advantages and disadvantages of deploying or using these types of contracts in a financial plan, and even more importantly, what type of basic strategies you can deploy with these types of contracts. Why Did the US Treasury Issue a Ruling About QLACs? Last year there were actually two rulings that the U.S. Treasury published regarding deferred income annuities. 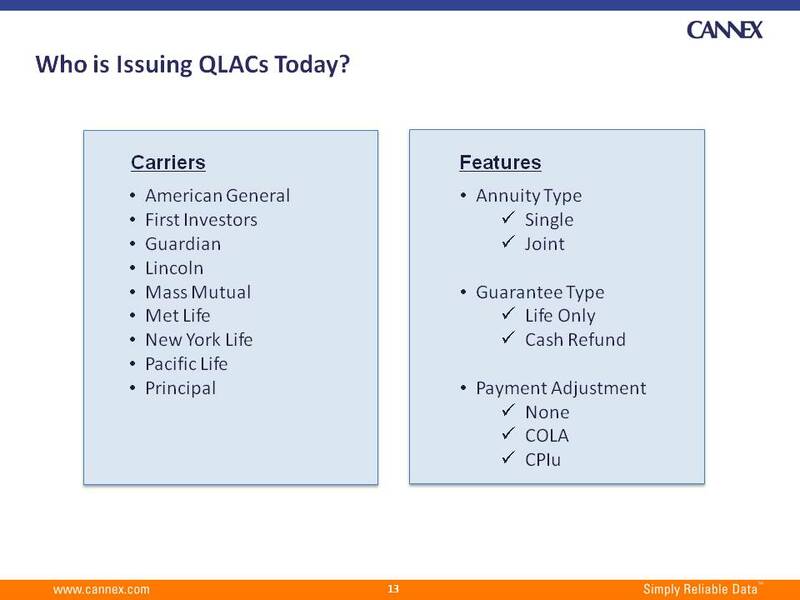 If there’s at least one takeaway from this session, it’s that a QLAC is really a deferred income annuity contract, or otherwise known as DIAs in the industry. Another word for a DIA is longevity insurance. The first ruling from the US Treasury was back in July 2014, and essentially allowed for the deferral of income from these types of contracts to extend beyond age 70½. The essence of this ruling really addressed some tax issues that were fundamental in the IRC or (the Internal Revenue Code) relative to income annuities in general. Twenty or 30 years ago, there was some concerns around partial annuitization and other elements regarding the use of qualified money in annuities. If you were to take a literal interpretation of the Code, until recently you would only be able to put a single premium into some of these contracts. The income start date from income annuity contracts really couldn’t start any later than 12 months after the purchase or deposit and the contract or annuity itself would have to at least provide for substantially equal payments during the life of the obligation. For single premium immediate annuities and how they’ve traditionally sold for over 100-plus years, that doesn’t seem to be a problem. 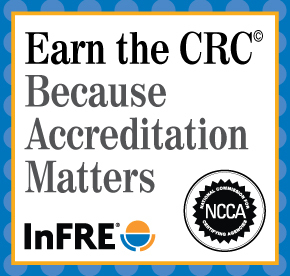 But with the innovations that have occurred over the last ten or 20 years around applying these types of concepts or contracts where you cover the tail end risk of the longevity issue for a client, the IRC had become quite outdated. The second and probably equally important ruling, but one that’s probably gotten less press, is what followed up in October 2014, which essentially allows for the allocation of a deferred income annuity inside a target date fund, especially when it’s made available to 401(k) participants in a plan. The reason why this is important is that the government has also identified that there are allocation concepts that are appropriate for these types of contracts and that they wanted to make an income annuity, or specifically, a deferred income annuity, more available to the middle market and allow them to participate in the potential benefits that they would receive. When you place a deferred income annuity inside of a target date fund, it really operates as a special type of bond, if you will, which then asset managers could potentially manage a glide path over time to help manage these type of guarantees. Why did the US Treasury Focus on Deferred Income Annuities Compared to Other Forms of Annuities? Over the last ten years or so, there have been quite a number of innovations and improvements around financial planning concepts that address the product allocation or ways to allocate between investments and insurance when you shift over to drawing down on assets in retirement. The longer term guarantees from annuity contracts can act as a shock absorber to help lengthen the time that you can work with the portfolio and essentially free up more assets to address other investment needs. But the reason why the government focused on deferred income annuities is that the deferred income annuity actually, and actuarially, is considered to be the most efficient use of capital to address the tail risk of longevity. All annuities can address some form of that risk through annuitization or income riders, even single premium immediate annuities. However, by making a purchase up front and deferring that benefit for a long period of time, it essentially provides the consumer or the client the best use of that capital. In this overall map of annuities, most advisors are used to annuities that are available on the left side of the page here; we refer to deferred annuities as savings annuities. The most traditional is fixed rate annuities, whether they’re traditional in nature or multi-year guarantee. Out of the $225 billion dollars of annuities that are purchased each year, over half of that is still in the form of variable annuities, or deferred variable annuities. About 20 percent of the purchase of variable annuities is used for pure tax deferral. Over 80 percent of those contracts are sold with an income benefit rider, which essentially allows the investor to have the flexibility to have access to those assets and the capital within that contract, while still potentially taking out a guaranteed stream of income in the form of a systematic withdrawal at a particular defined rate, to the point that if those assets are exhausted in the contract over the course of time then the insurance aspect of that rider kicks in. At that point, a sustainable withdrawal rate is maintained for the rest of the lifetime. These are called guaranteed minimum withdrawal benefits or lifetime withdrawal benefits. There are a few contracts that still offer a guaranteed income benefit, which essentially doesn’t necessarily provide the guarantee on that withdrawal rate, but instead maintains a benefit-based guarantee, of which then the client can flip and choose to annuitize that overall contract at a particular level down the road. These types of income benefit riders are also available on fixed income annuities, which actually have been growing as of late. We’re also finding that these income benefit rider options are finding their way onto traditional fixed rate annuity contracts as well, as yet another alternative. Today, the average age of investors or clients that are purchasing single premium annuities is around 69 or 70 years old. This coincidentally bumps up against the decisions they have to make when they approach age 70½ and begin either consolidating assets or start to adjust their required minimum distribution (RMD) obligations. Today, deferred income annuities – and we’ll get to this a little bit also – are primarily being purchased by clients who are mid to late 50’s. The average deferral of that income typically is between five to ten years. However, there are opportunities to defer that income payment start date for a much longer period of time. Deferred income annuities together probably represent only about 5 percent of the income annuity market today. But it is increasing at a rapid rate relative to the market. 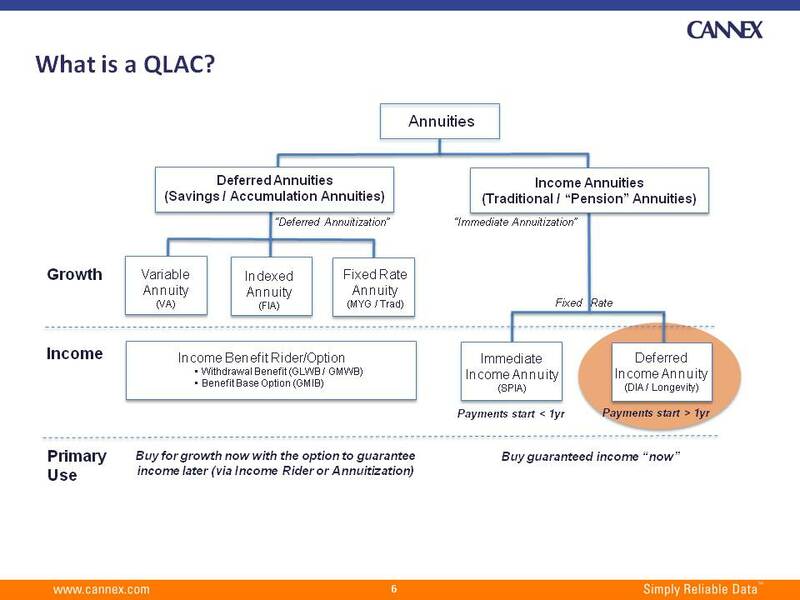 Again, the QLAC contract is a form of deferred income annuity which provides more flexibility for qualified assets. How are Deferred Income Annuities Relevant to Qualified Longevity Annuity Contracts? Assume a 55 year old female with $100,000 purchases an income annuity. In this case, we’re assuming it would be for a single life annuity, as opposed to joint life, and has a cash refund, as opposed to a life-only annuity where there’s no obligation back to the estate in the event that the annuitant would pass away. The majority of income annuities purchased today, 80 percent or more, has some form of a beneficiary guarantee or estate guarantee that if the annuitant were to pass away, the obligations of the contract are passed on to their heirs. The most common or popular form of that guarantee today is in the form of a cash refund, where at least your estate will get the remainder of the original deposit that was provided to these contracts. A single premium immediate annuity requires that you have to start taking your income within 12 months. If the 55-year-old female were to put $100,000 into a single premium annuity, she would generally receive $5,200 per year for the rest of her life, again, with that cash refund option. With the non-qualified deferred income annuity, you see there’s great flexibility today with the carriers that do offer these contracts where the longer you defer, the amount of benefit that you would receive increases exponentially the longer you wait. For example, paying $9,000 a year at age 65 for a $100,000 investment, more than doubling at 75, and certainly really paying off if you can actually defer it until age 85. There are actually a few carriers that will allow you to make that deferral on a non-qualified basis up to age 94. For the purposes of this slide I charted it to age 95, but you can see that the longer you wait the exponentially bigger the benefit can be, not too dissimilar to the strategy that the longer you can hold off on Social Security your benefit will increase. The problem that existed up to recently is that by trying to use these types of products on a qualified basis, it was very limited that the client would only have the benefit of deferring up to 70½ when RMDs have to be taken. The government has recognized the benefit of these types of contracts, and now allow us to defer the start date of income up to age 85. If you can apply a portion of the client’s assets into a QLAC you can essentially achieve a similar benefit at 85 of $49,000 per year for that original $100,000 investment. That’s the essence of the new ruling on QLACs. Again, we’re not really just talking about QLAC. 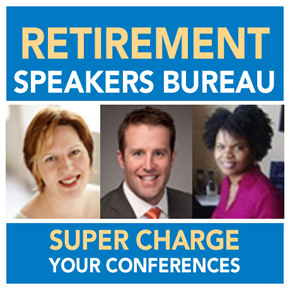 We’re really talking about the overall use of deferred income annuities and the ability to provide greater access and flexibility on a qualified basis. What are the rules around QLACs? The government and the IRS are still going to want their share. They have provided some caps around the amount of money that you can put into these contracts at either 25 percent of all the qualified assets that the investor holds, or a cap of $125,000 total invested in either a single contract or a number of contracts. This cap applies separately for each of the spouses, so you could apply this $125,000 cap to both individuals. The income has to start at any time before 85 or at age 85. There are income annuities that are variable income annuities. Indexed income annuities have not been introduced as of this point, but technically, you could buy an immediate variable income annuity. From a financial planning perspective, however, when you’re looking to lock in a floor or some form of guarantee, especially for a long-term retirement income plan, it’s difficult to count on a variable payment to cover your rent, taxes and utilities, especially if you’re applying some type of flooring concept. The government had actually specified that QLACs would only apply for fixed payout annuities. But even for income annuities that are fixed in nature today, there are options of which you can have cost of living adjustments, typically around 2 or 3 percent increase per year off the payment, and there are a few that are offered on a CPI basis. But those represent probably only about 5 percent in overall income annuities contracts purchased today. Generally, most advisors are applying fixed payouts, but there are some great opportunities to apply COLA adjustments. Finally, the annuity cannot be liquidated. For the most part, the majority of income annuities available today and even deferred annuities do provide some way you can change your mind. They can “commute” that contract and give some money back to you. In the case of extending this longevity, for now the government has put a restriction on that for the purpose of these types of contracts. But as I mentioned, they’re okay with the death benefits of the estate in the event that the obligation is still paid out to the heirs. Why are DIAs Such a Hot Topic These Days? You could argue that longevity contracts existed well beyond before 2000; there are one or two instances that it has. But generally speaking, the industry started to really focus on these types of contracts at the turn of the century. What was built and provided at that time was the pure essence of the contract to manage the longevity tail risk. They were built with some flexibility, but fundamentally were marketed as a position to be deferred for a long period of time to not really turn on income until around age 80 or 85, so that the investor didn’t have to keep as tight grasp onto their investments and withdrawal strategies and to be able to essentially mitigate that income risk on the tail end of retirement. Unfortunately, having that conversation with a client across the kitchen table was a very horrible conversation. It didn’t really appeal to them and the fundamental behavioral finance issue of buying something now and not seeing the benefit for 20 and 30 years when you’re talking about a specific product just really didn’t translate, and turned into low adoption rates overall for these types of concepts and products. To make the story translate better across the kitchen table, insurance companies started to tighten up some of the specs around these contracts and really position the deferred income annuity with shorter deferral periods to align it with somebody in their mid ‘50s who is looking to catch up on their 401(k) as a last ten-year ramp up before retirement. In a similar manner, in most cases, if a defined benefit or pension plan is not available to someone, they can try to catch up by essentially creating their own pension plan. Some of the opportunities that exist now will allow certain clients to further delay withdrawing some of their assets based upon how much qualified assets they have in their portfolio, and can have a positive effect on their tax position. The most basic way that we at first found QLACs to be impactful is with successful 40-year-olds and 50-year-olds, realizing that the $125,000 asset cap will be indexed to increase in $10,000 increments in the future. Let’s say I’ve got a 45-year-old or a 50-year-old that’s got a half a million dollars of qualified plan assets already, maybe for themselves and for their spouse. 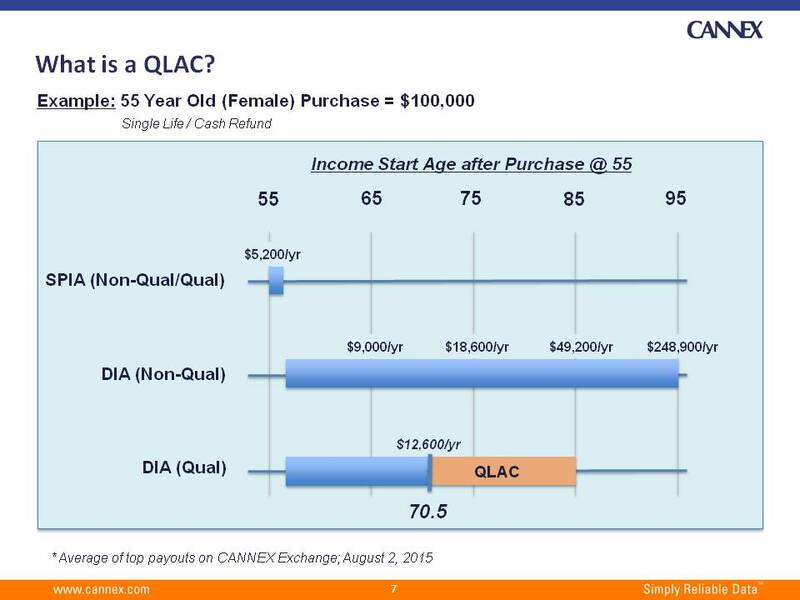 When you put a total of $250,000 into a QLAC and you delay that to age 85 for both spouses, the discount benefit to them with a joint lifetime cash refund provision provides incredible tail swings for that client, depending on the composition of their other assets. By the time they hit 70½ it provides some significant tax relief when the valuation of that is bought much younger than just 65 to 70. So the younger the client is when you can deploy assets up to the value of the asset cap, the more beneficial it would be from a taxing point of view or from age 70½ when RMDs would normally be triggered up until the date you can defer. There is a minimum age you can turn it on. So if you buy a QLAC, whether you’re buying at 70 or 65 or whatever age, you cannot begin the “turn on” date, or the commencement date of that QLAC prior to age 72. You can turn it on from age 72 all the way up to age 85 and not to exceed, of course, age 85. There are two things that we’ve found that we’re incorporating these discussions with our clients. One is that we’re getting tax relief on the non-QLAC portion when we’re not required to take RMDs between age 70½ and the date that we commence the income payments of that contract. The other thing QLACs do is pull down the distribution requirements of the portfolio, bringing it down to a safer range when incorporated with traditional assets, and creating a systematic withdrawal strategy that actually improves the distribution rate on the tail end of retirement. But where the real benefit is, we think, is with the younger the client who maximizes their use of a QLAC; it can have more impact on both controlling some taxes as well as helping out with distribution rates later on. Other than the $125,000 cap, annuities in general are a behavioral finance challenge. Any advisor would agree that financial planning is about 90 percent psychology and 10 percent actual practice. It’s certainly evident when you sit across from your client. When you’re trying to position an annuity as part of a portfolio with such a long term guarantee and your need to hold those assets to receive that guarantee, there is a real tug of war between the control that both the client and the advisor wants to have over those assets ultimately, versus the guarantee they receive and the benefits that can really impact and provide a lot more flexibility to the rest of the portfolio. Whether you’re buying a CD over a course of five years or if you look at an income annuity, you’re really asking the client to lock in a portion of assets to receive that efficient guarantee. But when you’re deferring that income start date, that psychological tug of war in their head is really amplified, especially if you’re talking about 20-year deferral period. The one disadvantage about any of these products is the fact that when you buy a QLAC you’ve done something that’s irrevocable. Once you’ve bought and put money into the QLAC, QLACs do not provide a commutation opportunity. So once you’ve purchased it, you’ve purchased it. Flexibility is always paramount in terms of building a plan. There are QLAC contracts that exist out there and will exist, some of which will allow a change to the commencement date, flexibility features, and yet others that will not. 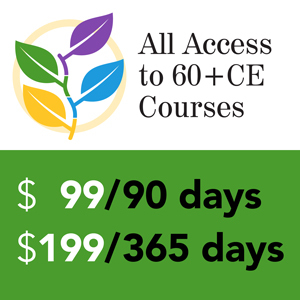 It’s important where the option is available to test the pricing of changing the start date or the commencement date, compared to those that don’t. What I’m finding is when the flexibility exists, you can turn on the income five years sooner than the commencement date that you targeted in the original application and contract, or push it up to five years in the future. Ideally, we target age 80 as the commencement date because basically by putting it at 80 we can possibly start it at age 75. The last thing we want to do is hold up settlement of the estates of clients that might pass away prior to some of these commencement dates or these payouts with a cash refund, whereby the estate would have to be held open waiting on future payments in an installment refund situation. We also see retirees who have so much qualified money that the RMDs that are forced on them is so high that with social security and pension and other resources they have more cash flow than their desired income needs. There’s a perfect opportunity even at or beyond age 70½ to consider allocating some of the qualified money to a QLAC. You literally could move $250,000 of the present value of qualified dollars ($125,000 lifetime cap per spouse) to QLACs and push some of those RMDs down the road. We’re really looking to actually provide this specifically to those couples where one spouse has an extremely long family history projection. Also, rather than doing one DIA, we might split it into five different $25,000 chunks between ages 65 and 70 so that we could constrain the actual present value that would be reported to the IRS on how much each of those conversions over the years would be taxable. 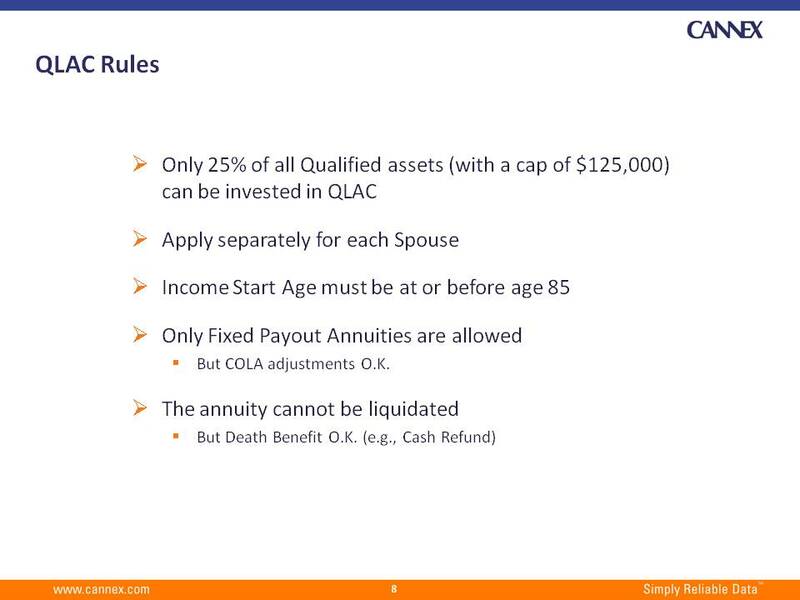 What QLACs do is provide broader access to income annuities in general. The government is opening up the ability for asset managers to place these types of contracts inside of a target date fund itself, which provides a clue as to the direction this is going, and ultimately provides some of these complicated strategies on a more available basis to the middle market. Putting a little piece of your nest egg into these types of contracts is helpful. Deferred income annuities are being positioned now for folks in their mid-50s to correspond with the catch-ups that they may need to do for their 401(k). The longer you wait, the bigger the benefit, and certainly, it can have a huge tax benefit depending upon the client situation. 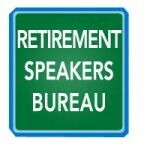 Want Gary Baker to speak at your event? Gary Baker, President, U.S. Division at CANNEX Financial Exchanges leads the U.S. operation of CANNEX Financial Exchanges. CANNEX provides a central exchange for guaranteed product data and calculations in the U.S. and Canada. The business also provides educational tools, product illustrations, transaction support and custom applications. Gary Baker’s experience in the retirement market has broadly covered retail and institutional business as well as insurance and money management. 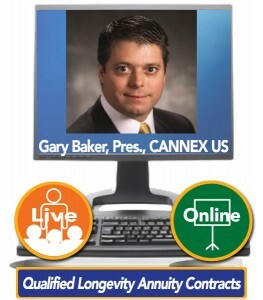 Before joining CANNEX, Gary led product development and marketing for MassMutual’s Retirement Incomer business. Prior to that, he was with GE Capital where he held a variety of senior positions in business development, product development and marketing both domestically and internationally. Gary holds a B.S. in Finance from Pennsylvania State University. Curtis Cloke, Founder and Developer of Thrive Income Distribution System. Curtis is an award-winning retirement income expert who has established an agnostic retirement planning approach utilizing the math and science of income annuities to help create more income while utilizing less of the client’s portfolio. In 1999 he discovered the modern DIA and began development and framing DIAs into the retirement planning model along with other traditional investments options. His work is utilized by The American College where he also serves as Adjunct Instructor for classroom studies.